COSTA RICA EXTRA – Tom Brady shows off his body while going shirtless at the beach on Sunday (March 22) in Costa Rica. The 37-year-old New England Patriots quarterback was joined by his family – wife Gisele Bundchen and kids John, 7, Benjamin, 5, and Vivian, 2 (not pictured). 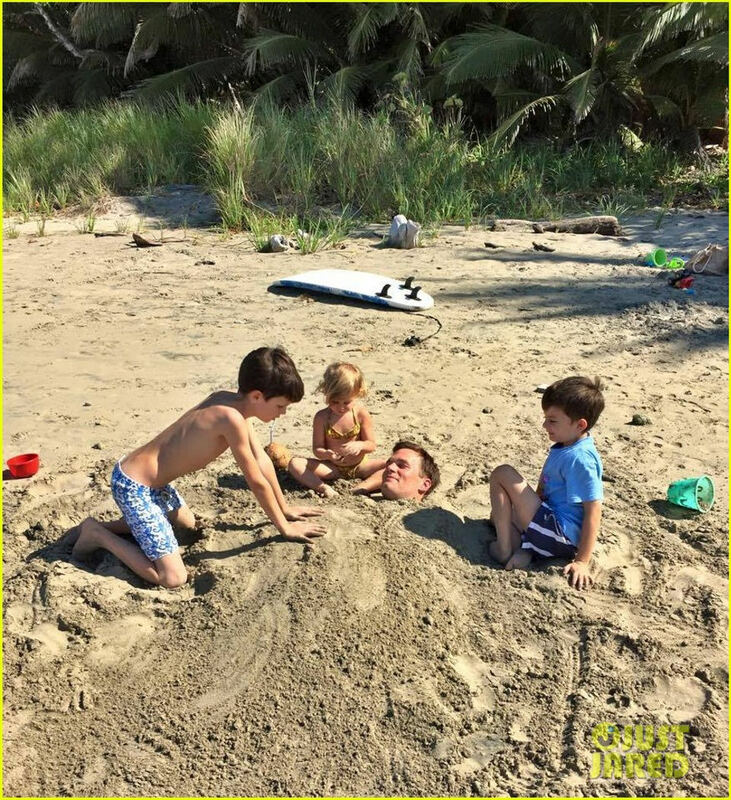 Tom posted a cute photo on Facebook over the weekend of his three kids burying him in the sand. “Someone please dig me out before training camp!” he captioned it. Gisele has also posted a few bikini pics online.